I really love making breakfast for my family, because it’s the one meal of the day that I know everyone will really sit down to enjoy. The kids wake up ravenous, so their typical pickiness isn’t an issue at breakfast! That said, I don’t always feel inspired to spend an hour in the kitchen first thing in the morning, especially on busy weekends or holidays. 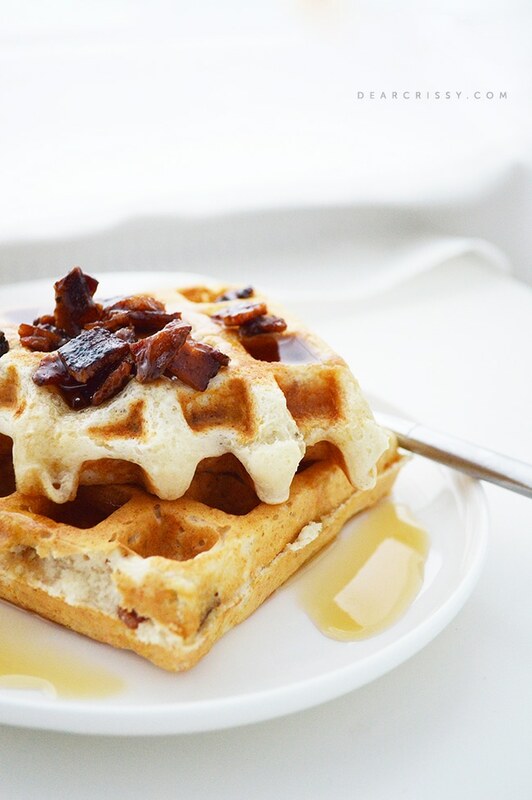 That’s why it’s so great to make waffles like these delicious bacon waffles ahead of time! 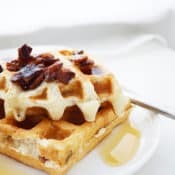 This waffle recipe is so easy, featuring Bisquick and precooked bacon, you’ll have very little time in them and even less time if you freeze them ahead for another day. You can wrap cooled waffles in aluminum foil or plastic wrap and freeze them up to 1 month. 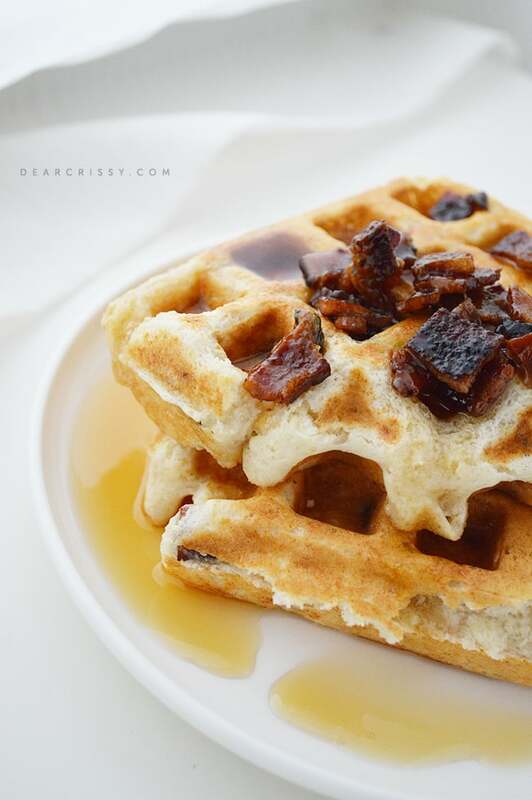 MORE WAFFLE RECIPES: White chocolate waffles and granola berry waffles. When you’re ready to make them for breakfast, unwrap waffles and reheat them in a 350°F oven for 10 minutes or pop them in the toaster until crisp. 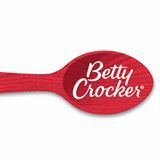 For these, you can microwave a little more of the precooked bacon to crumble on top, or, just top with syrup. 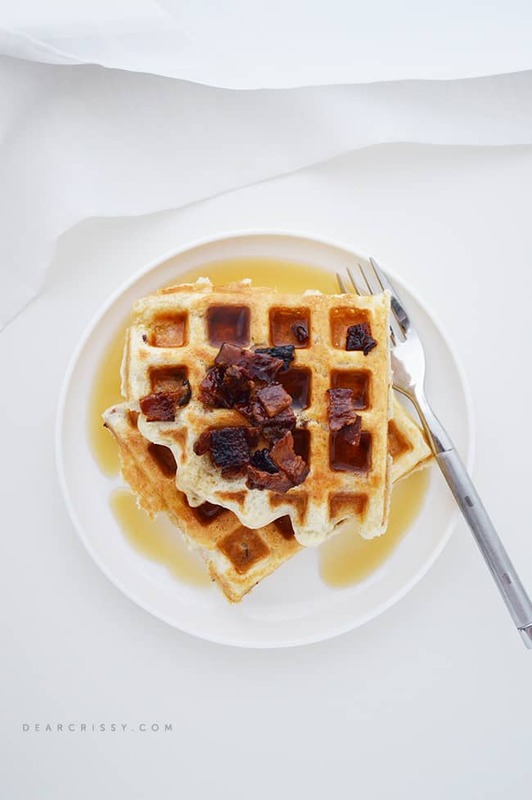 Making waffles ahead is also a great idea for busy school mornings. Sometimes it feels like I only have ten minutes to feed the kids before we have to rush off to school. That’s most likely because I often have only ten minutes before we have to rush off to school! 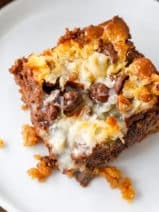 We can even toast-up these make-ahead waffles and the kids can eat them in the car on the way to school if we’re running behind. 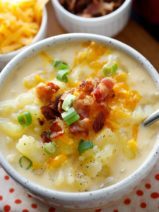 Love make-ahead meal ideas? 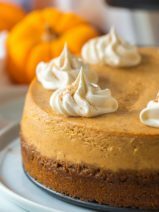 You’re in luck, because Bisquick has some GREAT recipes on their website that you don’t want to miss. 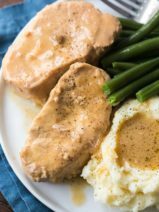 Be sure to follow Bisquick on Facebook and Pinterest, and #GetYourBettyOn by following my Pinterest board featuring easy, make-ahead meals! Preheat your waffle iron to a little over medium. 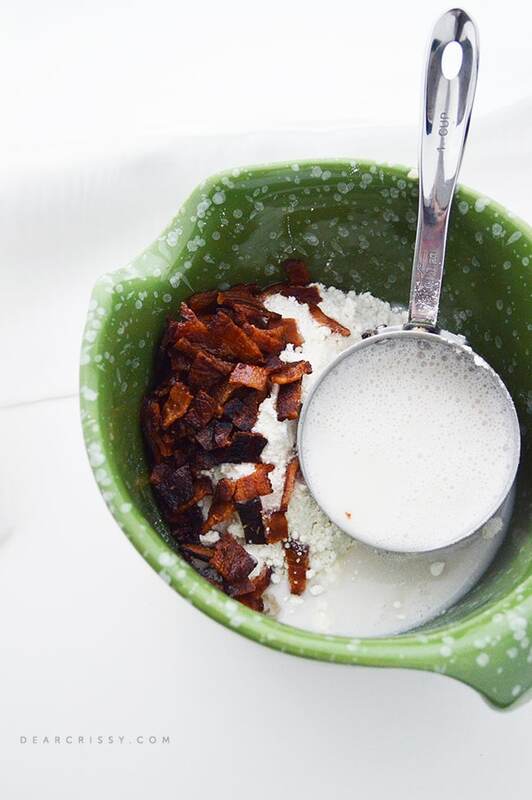 Mix the milk in with the waffle mix, oil and bacon. I used a pinch of the left over bacon fat to grease the waffle iron instead of butter. Cook each waffle until golden brown and slightly crispy on the outside. Top with more of the freshly cooked and chopped bacon along with pure make syrup.